The main campus of Westphalian University is located in Gelsenkirchen with both teaching and residential opportunities. Many Westphalian students are living off campus. Your child will have the chance to live in the near of the campus where he / she can meet friends, connect with faculty and live in a welcoming and comfortable environment. 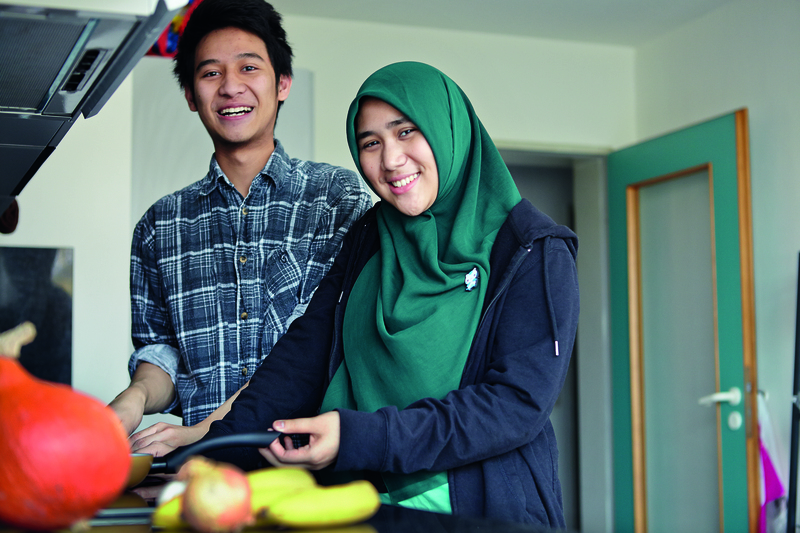 Accommodation for students especially studying at Gelsenkirchen campus is available in our host family programme or in the university’s accommodation “Dueppelstrasse” and ”Wodanstrasse”. If you are interested in our host family programme, please send your enquiry to international.talents(at)w-hs.de. This option offers your child an excellent opportunity to improve your German and English language skills. 2. Student accommodation at "Dueppelstrasse"
This student accommodation covers 2 double and 5 single rooms. There are several bathrooms and a big kitchen. 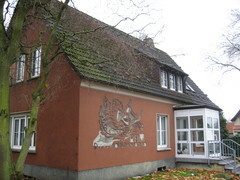 The residence is just about 10 minutes away from the Westphalian University Gelsenkirchen. Here, the children will have the chance to find new friends and get involved in different campus activities. In this accommodation students can look forward of being part of a big neighborhood, where they have the possibility to take part in all of Gelsenkirchen’s cultural and social opportunities. There, your child can also find many friends and get involved in various campus activities. This accommodation consists of several houses each containing 2, 3 or 4-room apartments. It is centrally located in Gelsenkirchen’s district Erle and has many local amenities. Within the accommodation the students also find amenities like washing-machines and dryers. If your child is interested in renting a room in the university's student accommodations, we are pleased to give your child assistance. In this case we advise you to engage this opportunity as soon as possible. In the cities Recklinghausen and Bocholt the students should rent a private accommodation. If you have any further questions, do not hesitate to contact our International Office. We will be pleased to help you as soon as possible.